Um. Apparently this has been floating around, and I'm not sure if it's been addressed here yet, but Black and White are getting a direct sequel game? I'm... just going ask if anyone else can confirm this, really. And if so, discuss? Looks totally fake. Rumors are saying that it's actually the third game in the set (which they promised they wouldn't do) and that it'll be released this June, which is pretty short notice for how they usually handle this stuff. Under normal circumstances, I would bet my life that a rumor like this is totally fake. My first thought was that it was a clever fake as well, but I checked Bulbapedia and Serebii, and both seemed to have announced it as well. Bulbapedia also linked to the official US Pokemon website, and the web page automatically redirects to ad about Black and White 2. I'm inclined to believe that it's genuine. EDIT: I just checked the official Japanese website as well. Looks like this is real. I'm usually one of those people who adopts a pessimistic view whenever an announcement about a new game comes out and end up enjoying the games anyway, but I'm actually a bit interested this time. This is, after all, the first direct sequel in the main game series, rather than an expansion. I want to see how this is going to work out. Last edited by Faustgy on Sat Feb 25, 2012 10:08 pm, edited 1 time in total. And this is the point where I quit this series. Seriously, create a sequel in the same Gen, most likely not have much new Pokemon, AND split it in two. Actually, as far as I can tell, it's just one game. Called "Pokemon Black 2 and Pokemon White 2". Doubt it'll have any new Pokemon at all, being set in the same region... I believe the only new designs we've seen are alternate forms, like how we got Origin Giratina in Platinum. It seems like it's going to be the "Pokemon Gray" they swore they wouldn't make, but they're getting around that by making it seem like a sequel... and hey, maybe it will be, technically. They can port over all the maps, sprites, and other content directly, but take out all the stuff with N and Gaycheez and give us some new story set after the events of B/W. Technically, that would be a sequel. Also... DS. Not 3DS. Regular old DS. I'm having a hard time believing that to be honest. This is the point where I thought they'd start forcing everything onto it... if anything, I guess this confirms it'll be a sprited game. Did some reading and they will have features built in that the 3DS will make use of, though they didn't say what. This is the first I've heard of it. Though admittedly I've been too busy lately to do much more than read the stories on major game sites so all I can say is that nothing about this has shown up on them yet. That makes be a little suspicious but I could see them doing a Gray with a new storyline. Not sure why they'd bother with a new storyline but I was always sure there'd be a gray version eventually. And that'd also explain why it's not on the 3DS. EDIT: It's offical. It's two games, coming out in Japan in June. From what I understand in regards to two games, is the main pokemon is Kuerem, but you get it in and alternate form (Kuerem/Reshiram or Kuerem/Zekrom, depending on which game you get). Unfortunatly thats all I know really. Half half on it at the moment. Don't know enough. I'm honestly intrigued on how they're gonna do this. A direct sequel... hopefully B2/W2 will wrap up the loose ends from BW (Ghetsis and the Shadow Triad, for example). Are we getting new protags? Will the old ones show up? What are they gonna do to make this game a fresh Unova experience? I've actually heard speculation (!!) that the Mistralton Airport should get some more use. I certainly wouldn't be disappointed to see Winona at all (after all, Jasmine cameo'd in DPPt, right?). 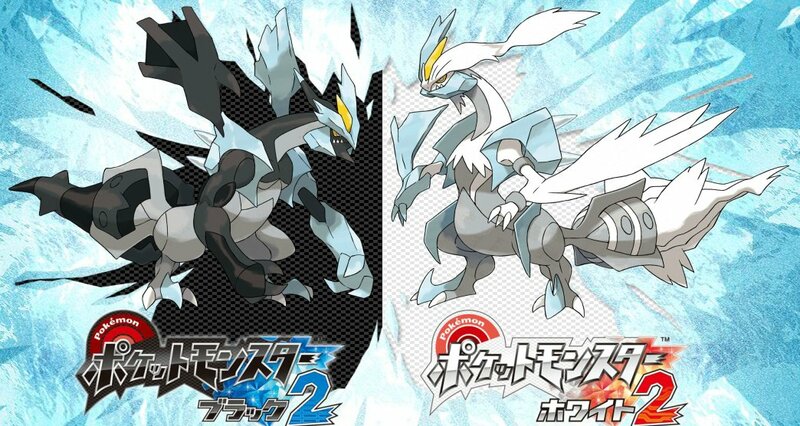 I wonder if the sequels and Kyurem-combos are leading up a super-origin-form that combines all three of the trio? I'll admit that, at the moment, I've having a hard time feeling too excited about the new games. Though that might change when they release some more details. At the moment though, there probably won't be any full on new pokémon (just alternate forms) so the collection aspect is out (haven't quite finished my dex in Black yet, but I will before too long) and you'll probably mostly be revisiting old areas, so exploration isn't as exciting either. As for the story... While B/W has the best story of any main series set of Pokémon games, it's really not all that deep or engaging compared to most other RPGs so I'm not exactly dying for a continuation. When I want a good Pokémon story, I turn to the Pokémon Adventures manga, not the games. But, like I said, they've still got time to announce some new feature that will peak my interest so we'll see what happens. I cannot wait for this game! 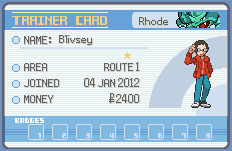 I have been semi-following this, and this has offically make me want Pokemon again! I kinda have been playing on and off rec ently, but when this is released, I am buying and playing it ASAP!